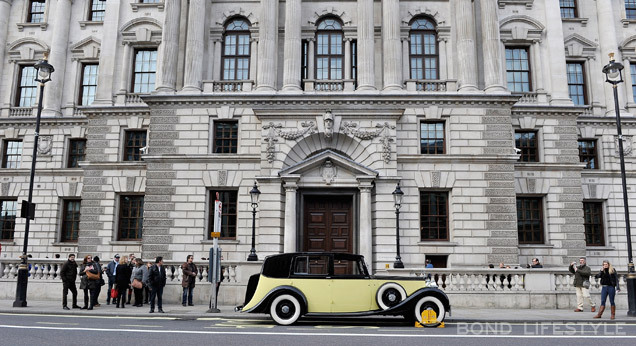 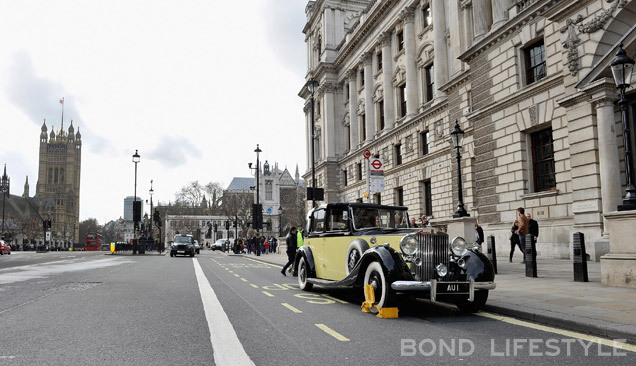 Goldfinger's Rolls Royce Phantom also got clamped outside the Treasury as it made it's way to Covent Garden. 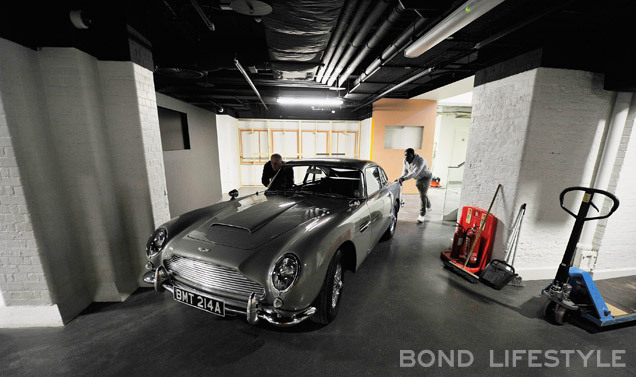 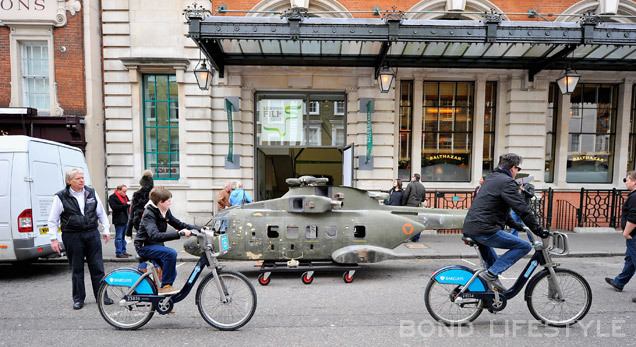 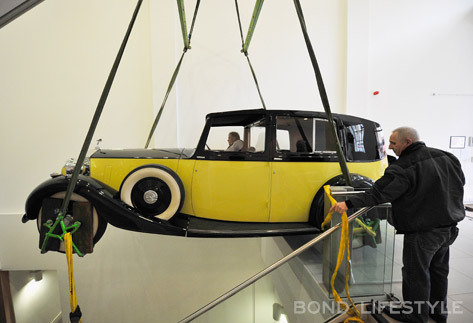 Bond In Motion, the largest official collection of James Bond vehicles, was first exhibited at The National Motor Museum in Beaulieu in 2012 and 2013, and will be open to the public in the London Film Museum starting March 21st, 2014. 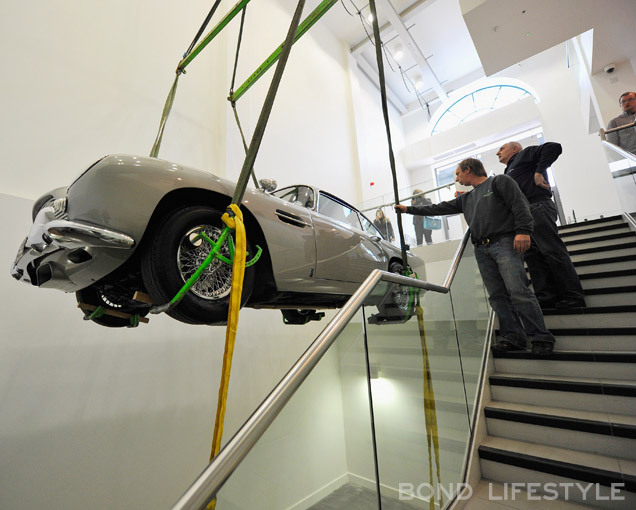 Tickets will be available at the venue box office daily and online at ticketmaster.co.uk and the official website londonfilmmuseum.com.